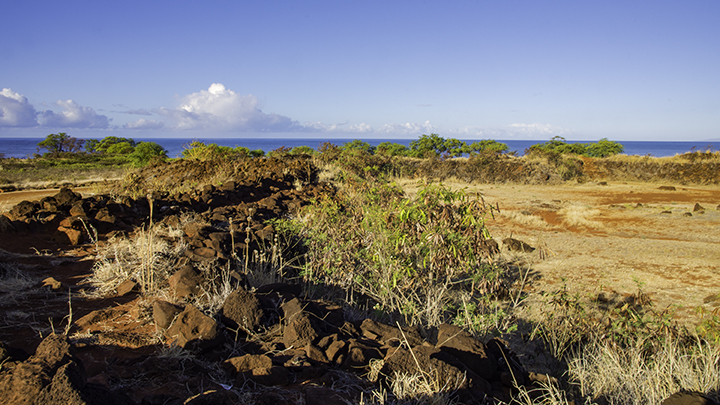 The remains of a Fort Elizabeth in Kauai, where plans were made for the Russian conquest of Hawaii. No, this was not a part of the Soviet Union’s Cold War plans to take over America. There actually were plans made for a Russian conquest of Hawaii. This occurred in the early 1800s when King Kamehameha was consolidating his rule over the Hawaiian Islands. Many do not know about this fascinating story about political intrigue, broken promises and the quest for monetary gain by power brokers from around the world. By the late 1700s, Russia had established a lucrative trapping and trading business in Alaska. It granted the Russian American Company sole authority to trap and trade in this area. The Russian imperial government appointed Alexander Baranov as governor of Russia’s territories on the American continent. The Russian American Company established fortified settlements throughout the Pacific Northwest. This gave the Russians an advantage over their British and American counterparts. Spurred by their successes in this region, the Russians then established a presence in Hawaii. They did this to exploit the then growing demand for Hawaii’s fragrant and precious sandalwood. During this time, American and British were embroiled in the War of 1812. Some American traders operating in the Pacific Northwest even sold their ships to Baranov at reduced prices. They did this to avoid the risk having them captured or sunk by the British Navy. One of these ships, the Bering, sailed to Hawaii in late 1814. But the ship ran aground in Waimea Bay on the island of Kauai during a storm. Kaumuali’i, the chief of Kauai, promptly retained the ship’s cargo of furs and other possessions. At that time, the island of Kauai was still not under the control of Kamehameha. Baranov enlisted the services of Dr. Georg Anton Schaffer, a German physician. He wanted Schaffer to recover the ship’s goods and to establish trade with the Hawaiian government. As a physician, Schaffer won King Kamehameha’s trust by medically treating him and his wife. In return, Kamehameha awarded Schaffer some land in Honolulu on Oahu. Here, he established a post, staffed it with Russians and started builting a fort under the Russian flag. But Kamehameha discovered the Russian American Company was building a fort under the Russian flag on Oahu. He then immediately sent his men to stop them. Upon hearing word of this, Russian American Company people based on Oahu fled to the safety of Kauai. Here, Kamehameha’s control was not as influential. While on Kauai, Schaffer negotiated with Kaumuali’i for the return of what was left of the Bering’s cargo. He also wanted restitution for lost items. In return, Kaumuali’i asked that Russia protect Kauai. This would also be in return for giving the Russian American Company a sandalwood trading monopoly. Schaffer promised Kaumuali’i that the Russian government would help him to break free of Kamehameha’s rule. According to a July 1816 treaty, Kaumuali’i offered his men to the Russians for the conquest of Oahu, Lanai, Maui and Molokai. Additionally he gave an exclusive deal on sandalwood trade in exchange for protection, weapons and supplies from the Russians. Schaffer then oversaw the construction of Fort Elizabeth. He built it on the banks of the Waimea River, as well as two other forts and trading posts on Kauai. Some say the undermining of this treaty was Kamehameha’s knowledge of the arrival of Russian warships. So when a Russian naval ship finally did arrived in Hawaii in December 1816, Kamehameha immediately dispatched 400 armed men to meet them. The Russian ship captain, knowing nothing of the agreement between Schaffer and Kamuali’i, then quickly sailed away without even visiting Schaffer on Kauai. As a result, it became very apparent to Kaumuali’i that Schaffer did not have the support of the Russian government. And as a result, he subsequently ordered Schaffer and his employees to leave Kauai. Others say that the Russian government simply rejected the treaty Shaffer had negotiated with Kaumuali’i. The Russians did not want to defend Kauai from both Kamehameha and the Americans who had favorable relationship with the King. Instead, some speculate that the Russian government told Schaffer he had overstepped his responsibilities. And then it commanded him to leave Hawaii. Whatever the case, Schaffer had to leave the islands. But he continued to promote Russian annexation of the Hawaiian Islands. He even tried to convince others to take up his cause. Ultimately, the Russian government opposed all plans for colonizing Hawaii for fear of disrupting relations with the British. It also did not want to create problems with the Americans who had growing presence in the islands. Today, Fort Elizabeth on Kauai is now a state and Federal historical site. It remains the sole physical reminder of the brief and colorful Russian legacy in Hawaii. The stonewalls of the fort remain mostly intact on the outside. While on the inside, you can still see the foundations of some of the buildings and canon magazines. As one looks at these remnants, one wonders what could have happened if Schaffer had been successful in his Russian conquest of Hawaii.